Balanced and fruity. Nothing else! 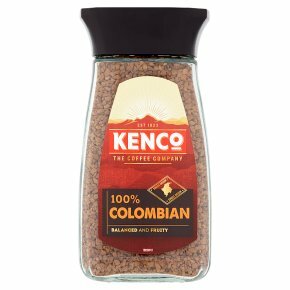 Grown at high altitude in Colombia's tropical climate, this medium roasted, well-balanced coffee treats you to subtle floral aromas and a fruity top note. The taste? Simply perfect. Explore the rest of the Kenco Range from Barista Style Millicano Americano to Coffee shop style Cappuccino and Latte.